Introducing the New super street heads! 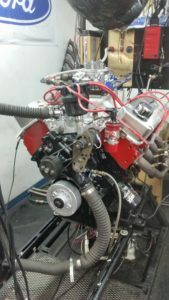 We built a 460 engine normally 460hp 5600rpms and 520tq at 4400rpm with Chinese aluminum heads. This engine has 9 to 1 compression. Custom designed hyd roller camshaft, Stealth intake manifold, Quickfuel carb and MSD ignition. We switched to the super street heads and used a performer intake manifold. We made 464hp at 4900 rpms and 564tq at 3900rpms. So we gained a lot of torque but we also moved the power band down 500rpms. 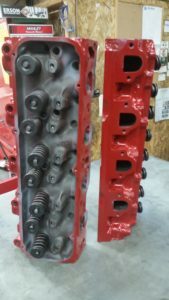 This would be even greater if we optimized the camshaft for the heads. are really the main concern.